My husband and I have started shopping (mostly window shopping) to furnish the new house. 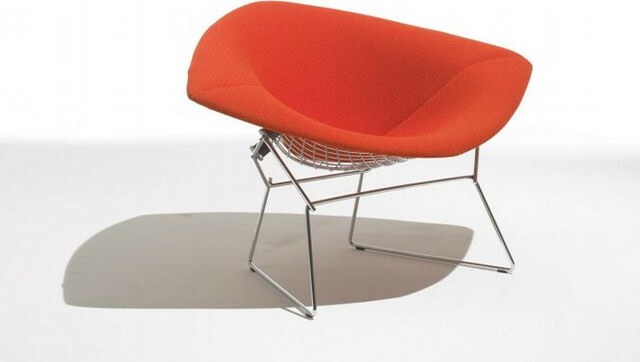 On a recent trip to Houston, he fell in love with a Knoll Bertoia Large Diamond Chair with yellow upholstery. This sparked his interest in researching Midcentury furnishings, their values, their designers etc. I've always liked the chair but was hesitant to make the $1200 investment. I'm not quick to spend so we are going to shop around until we feel like we find a good deal. We always find bargains so I'm confident. While we both like the MidCentury aesthetic, I find that too much of it can be a bore. In the end our home will be an eclectic mix of antique, midcentury, modern, and just plain weird pieces. Take my husbands thrift store stocked apartment for example. 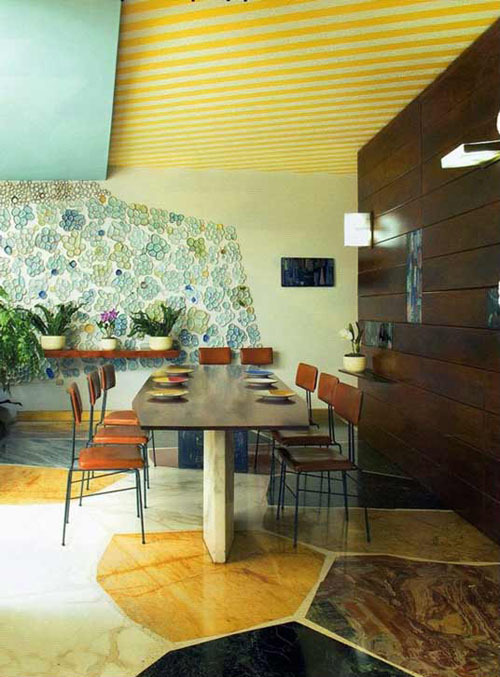 Below is an image of Gio Ponti's work and a quote of his about MidCentury design for 1951. I for one can't argue the approach.